I’ve previously posted about the key Jewish commandments, reviewed by Jesus to his followers, to obey the Shema (“Hear, O Israel…” Deuteronomy 6:4-9) and treat all “the children of thy people” well and “love thy neighbour as thyself” (Leviticus 19:18). The two greatest commandments are to obey the tribe’s God, and to be good to the tribe’s people. Even those famous Ten Commandments are not a prescription for the human race: they are a prescription for the success of the Jewish tribe, which success is often going to be at the expenses of other tribes. Christopher Hitchens has a lovely 8-minute video in which he reviews and and updates the Ten Commandments for our time. 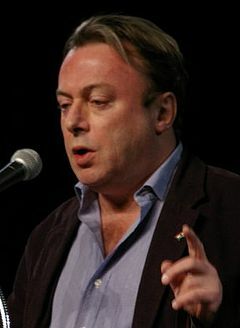 But Hitch missed the question of who is your ‘neighbor’ (“Thou shalt not covet thy neighbor’s house”, etc – “Thou shalt not bear false witness against thy neighbor”…) Neighbor means fellow Jews. It is all very tribal. That’s why it was fine for Moses to say “God says Thou shalt not kill” and then to go out slaughter the men, women and children of Palestine, now that God had given the Promised Land to the Children of Israel. There are universal religions, and there are tribal religions. The Romans understood the former, and tried to draw in every local religion they conquered. Judaism, the religion of Moses and of Jesus, was and is tribal, and in the time of Jesus it was bitterly opposed to being swallowed up by Roman syncretism. This entry was posted in Religion, Society and tagged greatest commandment, Hitchens, Jesus, Jews, Judaism, Moses, neighbors, Palestinians, Romans, Shema, syncretism, Who is my neighbor?. Fascinating idea… First time encountering it. Can you provide any kind of source material to support it? I’m curious about the tribal nature of Judaism and how that colors the teachings differently. What do you base this conclusion on? David, my current thinking is still evolving, partly because I am spending a lot of time working in Saudi Arabia at the moment, and my Western-educated friends there still identify tribally – just as Scots in rural areas or 100 years ago identify themselves by clan. I think it’s the difference between cultural and general morality. Does that cover the issue, or are you thinking of something else?